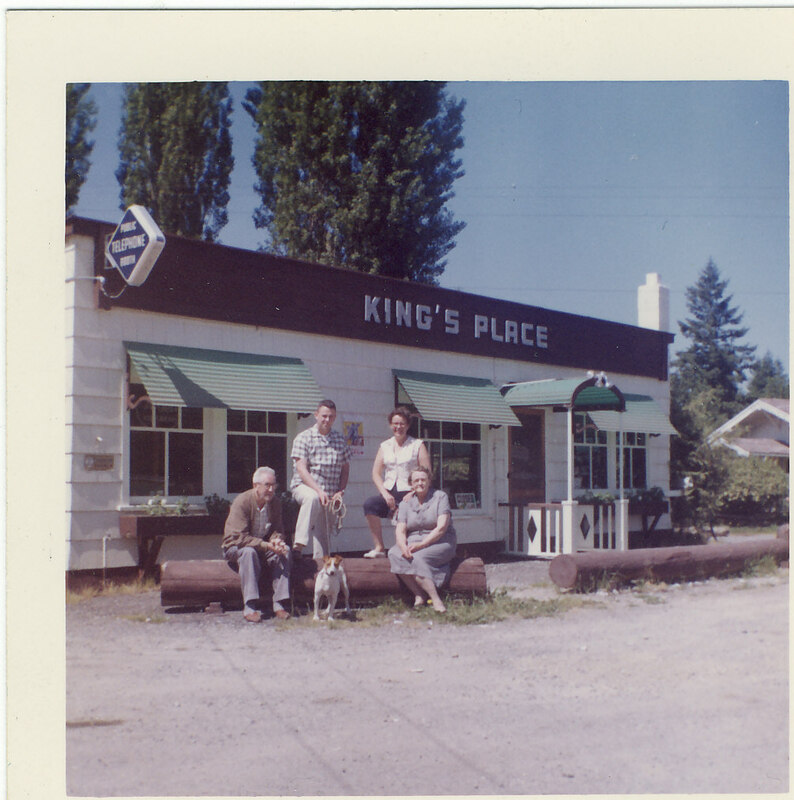 Ever hear a long-time resident of Eatonville refer to “King’s Place”? 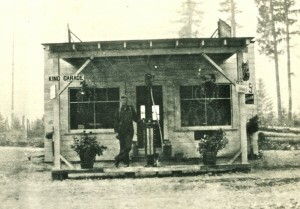 If so, they were referring to a restaurant at the top of Ohop Valley, next to the Ohop Grange. The building isn’t there anymore, but the memories are still strong. 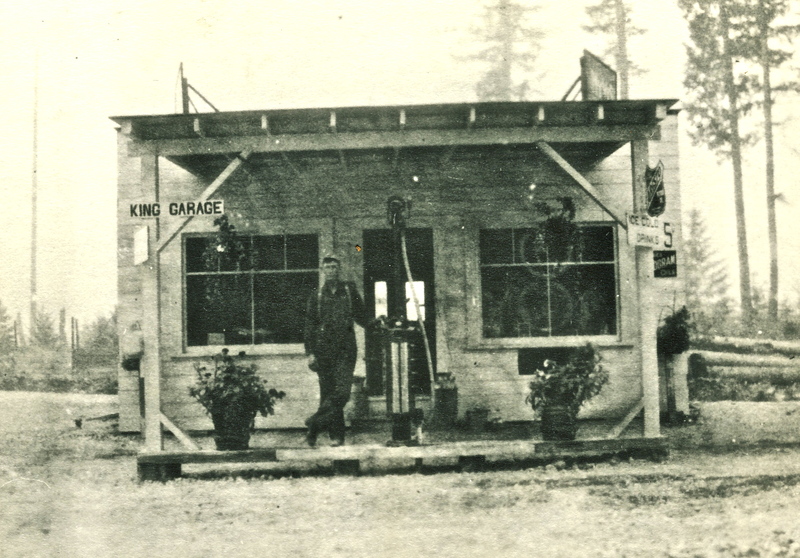 Between 1920 and 1930 a blacksmith named Roscoe King and his wife Lottie, jumped into the new “automobile” craze by building a simple garage. Over the next 17 years, the two grew the establishment, adding, among other things, a restaurant. 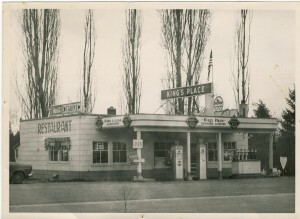 Lottie sold King’s Place in 1939 to Katherine Miller of Chicago, but she didn’t hang onto it long before selling it to a young couple, Jess and Madora Dawkins, in 1941. Madora was obviously a better cook than she lets on because the business grew. 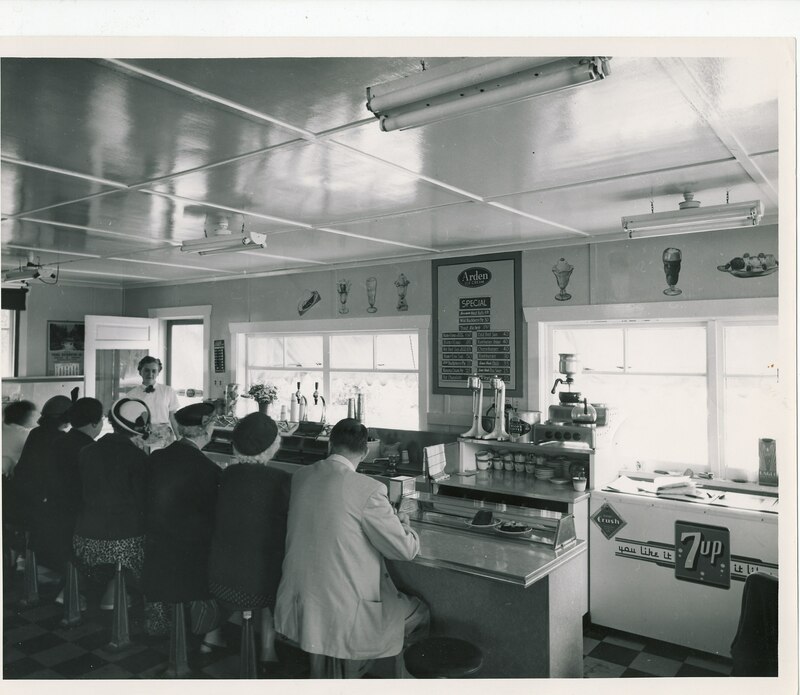 The couple sold a rib steak dinner — with dessert — for 85 cents. 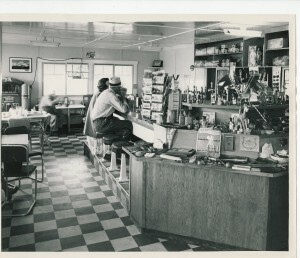 When Ole Malcom, the local butcher, raised the price of rib stake from 19 cents to 25 cents, dinners shot up to $1.00. In 1945 the Dawkins sold King’s Place, and it changed hands a couple times until Leif and Margit Thorvaldson took it over in 1948. Their daughter, also named Margit Thorvaldson, recalls the surprise purchase. 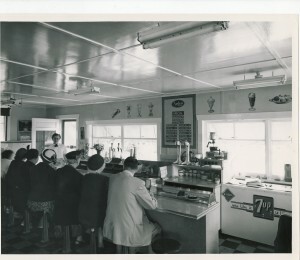 The restaurant served all kinds of food, like trout, steak and blackberry pie, but it was the Norwegian meatballs that were the big attraction. Leif stayed busy too. 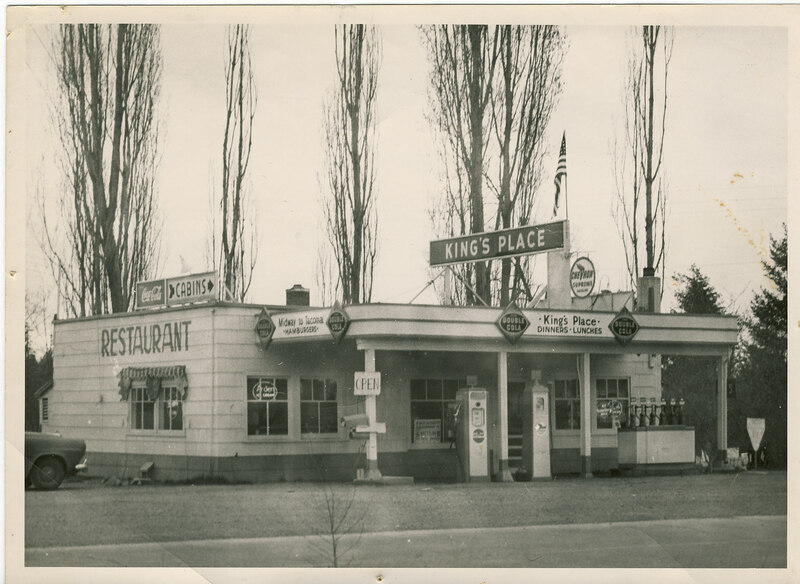 While the Thorvaldsons ran the restaurant from 1948 until 1962, he made improvements, remodeling King’s Place inside and out. King’s Place had a great run, but the final owners eventually had the old building burned down. 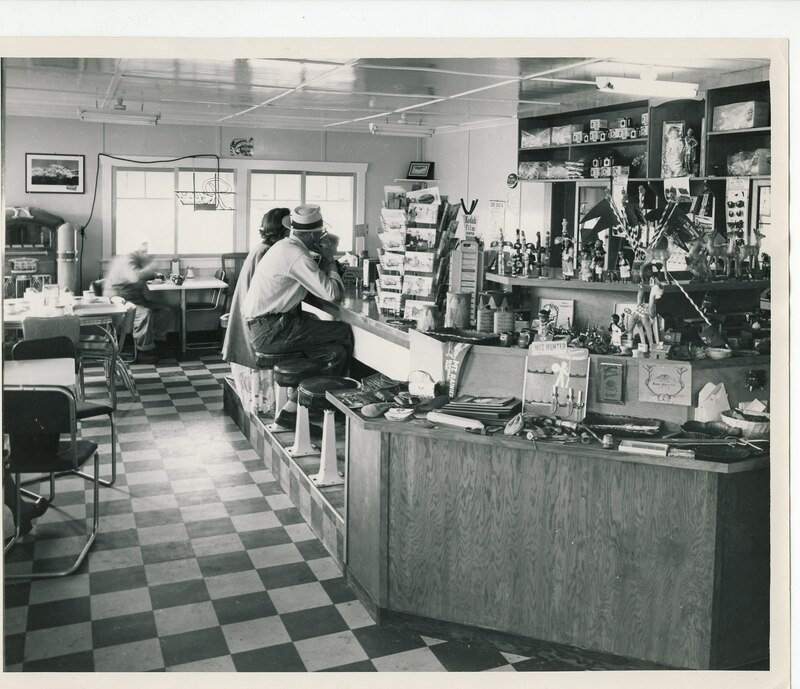 If you look closely you can still see where the gas pumps stood, but it’s the memory of great food and hospitality that will live on.